“In light of ongoing delays in the setting of a start date for filming “The Hobbit,” I am faced with the hardest decision of my life. After nearly two years of living, breathing and designing a world as rich as Tolkien’s Middle Earth, I must, with great regret, take leave from helming these wonderful pictures. 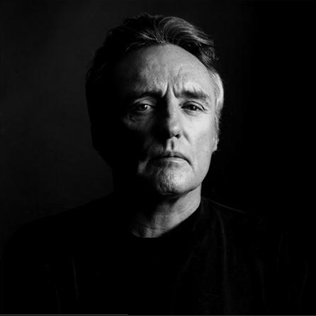 I remain grateful to Peter, Fran and Philippa Boyens, New Line and Warner Brothers and to all my crew in New Zealand. I’ve been privileged to work in one of the greatest countries on earth with some of the best people ever in our craft and my life will be forever changed. The blessings have been plenty, but the mounting pressures of conflicting schedules have overwhelmed the time slot originally allocated for the project. Both as a co-writer and as a director, I wlsh the production nothing but the very best of luck and I will be first in line to see the finished product. I remain an ally to it and its makers, present and future, and fully support a smooth transition to a new director”. “We feel very sad to see Guillermo leave the Hobbit, but he has kept us fully in the loop and we understand how the protracted development time on these two films, due to reasons beyond anyone’s control – has compromised his commitment to other long term projects. 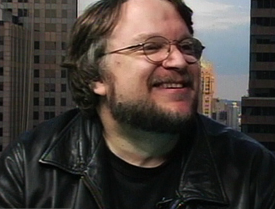 The bottom line is that Guillermo just didn’t feel he could commit six years to living in New Zealand, exclusively making these films, when his original commitment was for three years. Guillermo is one of the most remarkable creative spirits I’ve ever encountered and it has been a complete joy working with him. Guillermo’s strong vision is engrained into the scripts and designs of these two films, which are extremely fortunate to be blessed with his creative DNA”. “Guillermo is co-writing the Hobbit screenplays with Philippa Boyens, Fran Walsh and myself, and happily our writing partnership will continue for several more months, until the scripts are fine tuned and polished. New Line and Warner Bros will sit down with us this week, to ensure a smooth and uneventful transition, as we secure a new director for the Hobbit. We do not anticipate any delay or disruption to ongoing pre-production work”. 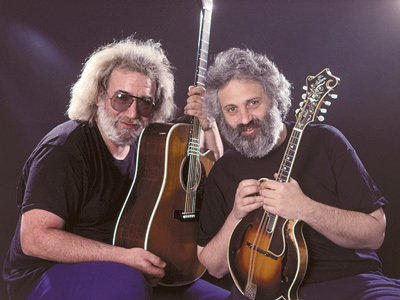 Ten years ago, mandolin player, David Grisman, released a legendary recording of himself and guitarists Jerry Garcia and Tony Rice playing music and goofing around in Grisman’s studio. 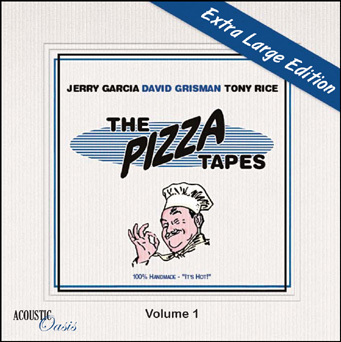 The story behind the title is an unverified “legend” purporting that a copy of the session tapes were stolen from Garcia’s house by a pizza delivery guy and distributed hand-to-hand via the usual Dead Head channels. The sessions became legendary long before Grisman officially released them back in 2000. That’s good news indeed for those of us yearning for more. The music contained here is simply beautiful, whether entire songs or partial, and the banter between these three old friends is joyous and silly and filled with an irrepressible love of music and one another. If you appreciate any of these guys or all of them, this purchase is a no brainer. It’s worth every penny and you can download it either in MP3 or FLAC formats (I recommend the latter if you care about sound quality). And believe it or not, the entire 3 CD collection is offered on Grisman’s Acoustic Oasis site for a damn impressive recession-friendly price of only $18.95. Not bad. And there’s more good music to be found on Grisman’s site. Check it out. Go HERE for the Pizza Tapes. It still scares me to think about it. There was a time when I didn’t think John McCain was so bad. But his actions during the presidential campaign showed me he was truly a man to be concerned about. And his actions since have only solidified my opinion. McCain seems to be a man bought and sold. It appears he will do anything, say anything, for election or re-election. There doesn’t seem to be an ounce of honest conviction left in this shell of a man. He is, for all intents and purposes, a political prostitute. 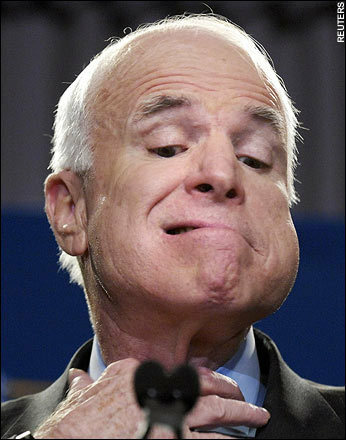 So now that he’s up for re-election, McCain is once again changing his tune to coincide with his party’s current stance. Back in 2007, McCain helped push a reform bill that would have offered a chance at citizenship for illegal immigrants in America. He no longer supports that bill and has changed his tune to coincide with his state election. McCain also did not support the use of National Guard troops to police the borders. Guess what his stance on that is today? This guy is pretty icky. And on top of that, he’s a really bad actor! 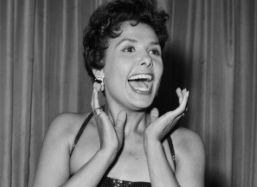 The extraordinary jazz singer and actress, Lena Horne, has died at the age of 92. Thankfully, her music, films and legacy remain. Just wanted to say goodbye and thanks, Lena. You will be missed. 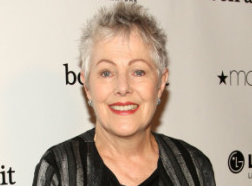 “Our beloved mother Lynn Rachel passed away peacefully after a seven year journey with breast cancer,” Redgrave’s children said in a statement Monday. “She lived, loved and worked harder than ever before. The endless memories she created as a mother, grandmother, writer, actor and friend will sustain us for the rest of our lives. Our entire family asks for privacy through this difficult time.” –Children Ben, Pema and Annabel.